Millennials make up the largest segment of today’s labor force, with even higher representation in the food and beverage service industry, which means it’s becoming increasingly important to have a good idea of who we are and what we expect and desire in a workplace. By now I’m sure you’ve grown used to the tired portrayals of a generation entirely composed of lazy, entitled snowflakes. The reality is (would you believe it?) a bit more nuanced than that. Let’s pull apart some common myths and see what the data really has to say about the most written about and puzzled over generation to date. 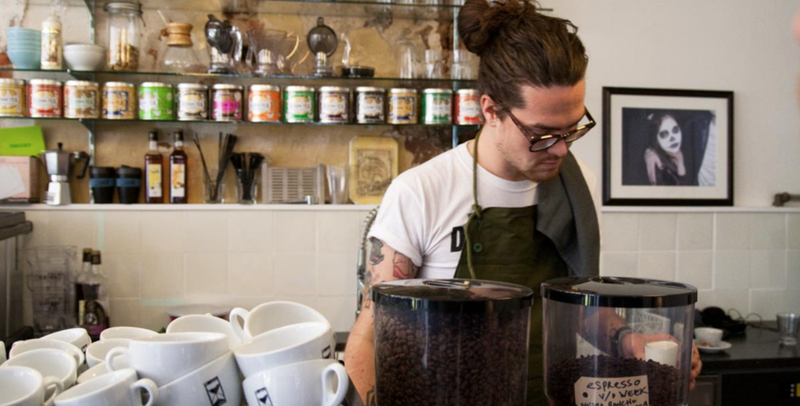 A smart business move for millennial--find one area of food and beverage and work in that business, whether it's a brewery, a cafe, or a restaurant. I’ve never been sure exactly where this critique came from, but in my experience there seems to be an even distribution of, shall we say, ~less industrious~ types across the board. In fact, this characterization seems to me to be a misreading of a reaction to a more problematic and insidious phenomenon: increasingly unrealistic expectations of productivity meant to “keep up” with digital trends. The advent and rise of such buzz terms as “side hustle”, “work/life blending” and, the strangely but apparently desirable label “work martyr”, to name a few, are indicative of the kinds of pressures millennials are under to always be on our grind. There must be a better word than “lazy” to describe someone who prefers to reject the notion of 24/7 work week in favor of smarter modes of working. While this stereotype seems mostly to stem from gripes about the increasing prevalence of selfie-culture, narcissism is a trait more millennials than not can admit to grappling with. Regardless of perceived or actual personal vanity, what is important to consider for our purposes is that at the end of the day, research shows millennials to be altruistic and interested in a more hands-on approach to philanthropy than one might assume. In fact, the potential for our labor to impact the greater social good is an increasingly attractive proposition for young talent. The changing of the generational guard has always been accompanied by a certain measure of resentment, skepticism and romanticization of the most recent bygone era. “There’s something wrong with this batch; when I was that age….” is the inevitable and almost comically predictable refrain of whatever generation happens to be handing over the reins to society, and will likely continue to be so. The gap between boomers and millennials may feel more stark than others, but in fact it is just the latest iteration of a tale as old as time, with the added misfortune of the spotlight afforded by the information age. At the end of the day the most important thing to keep in mind is that we’re not all as different as we may have been led to believe. Millennials are a huge and varied demographic that is already shaping our future, and I would go so far as to say that most of the perceived flaws of today’s twenty- and thirty-somethings are actually potential assets waiting to be given the space to bloom. The sooner restaurant owners and managers crack the code to understanding the wants and needs of the first generation to come of age online, the better poised they’ll be to craft a culture of innovation and imagination that will attract and retain a thriving workforce of engaged and eager talent. THIS IS THE FIRST IN A SERIES OF POSTS ON THE MILLENNIAL PERSPECTIVE. PLEASE FOLLOW ALONG OVER THE NEXT FEW MONTHS AND FEEL FREE TO RESPOND, SPEAK UP, SHARE YOUR THOUGHTS IN THE COMMENT AREA BELOW.